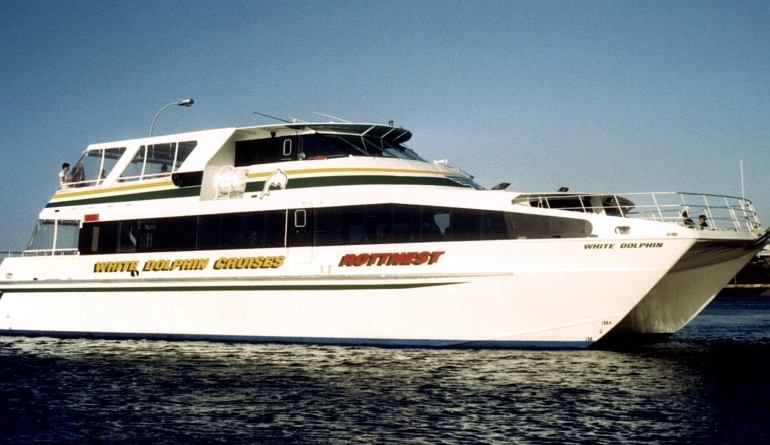 “White Dolphin” set new standards in economic ferry operations to move large numbers of passengers in comfort, at high speeds. 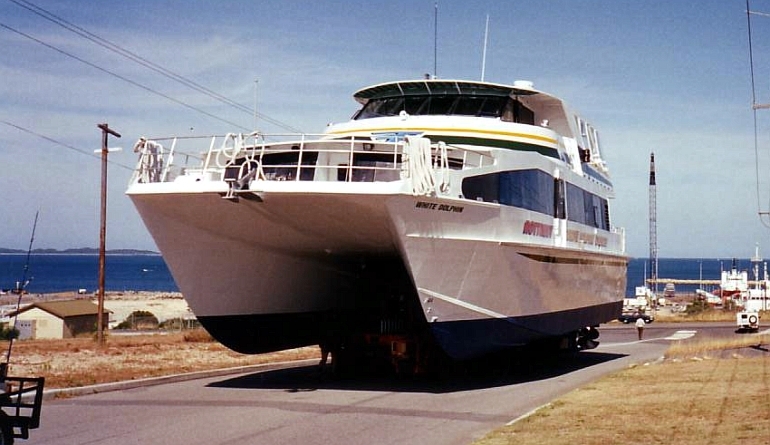 The very efficient planing hulls give good ride & sea handling for coastal ferry operations. To Bureau Veritas class to I 3/3E. The vessels’ hull has been optimized and is a very good performer with good speed and excellent fuel economy. 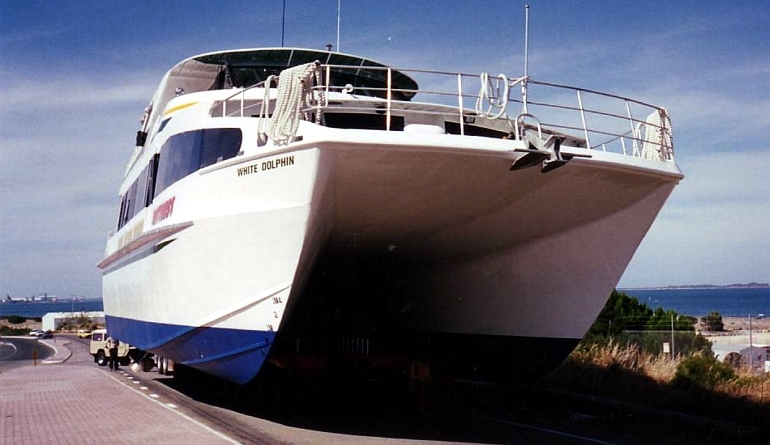 The hull is well proven having been used on the vessels “White Dolphin I”, “White Dolphin II”, “Adrenalin” and “K2O”. Available with various seating options from 240 down to 150 passengers. For additional speed we upgrade the 12V183 MTU’s to the new Electronic Control 12V2000. 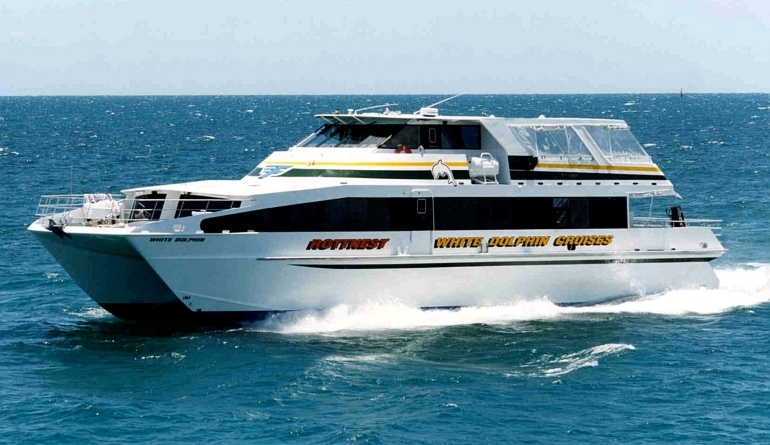 GMD can also offer this impressive vessel marine kit as a 28m, 260+ passenger ferry.